Lovely Nursery, very helpful in a time of need. BOP is open to children from 8.30am until 2.30pm Monday to Friday during term time. Children can attend a three hour session 8.30am until 11.30am or a full day. Children who attend for a full day will need to bring a packed lunch or have the option of a hot cooked meal for an additional fee (some families may be entitled to our free meal offer, speak to a member of the staff team). Early Support Stay & Play is an informal session for parents/carers to remain with their children to play, explore and learn. It is an opportunity to discuss any concerns with regards to a child’s development in a non-judgemental environment. We have an experienced team, led by our Family Support Worker, who work with children with a wide range of additional needs and can help with concerns over behaviour, development, mobility and more complex needs. It is also an opportunity to meet other families and their children. Each session includes a variety of play opportunities and these are adapted to the interests of the children and parents/carers who attend. 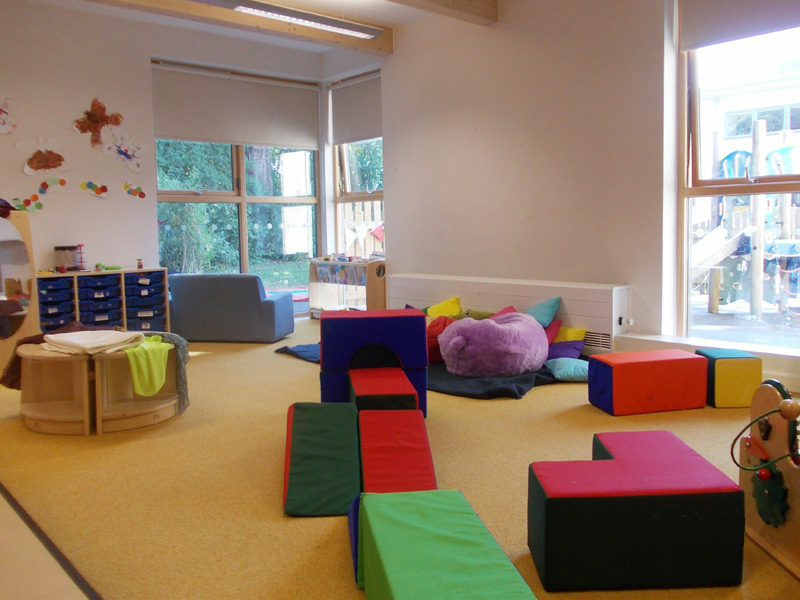 Stay & Play takes place each Wednesday morning in term time only from 9.30am – 11.00am. We ask for a small contribution of £1 per session to cover the cost of snack. Speech & Language Therapy an experienced Speech & Language Therapist seconded from the Speech and Language team, is in attendance most days in order to reach all of the children. She works alongside our long standing Speech & Language Therapy Assistant who also works with all of the children both individually and in small group sessions. Attention Autism is a programme which uses visually engaging activities to develop children’s ability to engage in joint attention with others, extend that attention and develop the ability to attend for brief periods to simple language describing that activity. Children learn to wait, to take a turn within a group without losing focus and learn to follow simple instructions. It is suitable for a range of difficulties with attention, listening and delayed language development. Staff at BOP are trained by Speech and Language therapists to carry out Attention Autism Groups. The Speech and Language Therapist will advise staff on which children would be appropriate to attend which level of group. BOP has close links with other professionals supporting children with additional needs and their families. Once a child is attending BOP it becomes an ideal place for a child to receive ASD Support, physiotherapy sessions, occupational therapy and educational psychology assessment. TAC PAC® (Tactile Approach to Communication) is an activity that combines touch and music to promote communication, social interaction, sensory, neurological and emotional development. 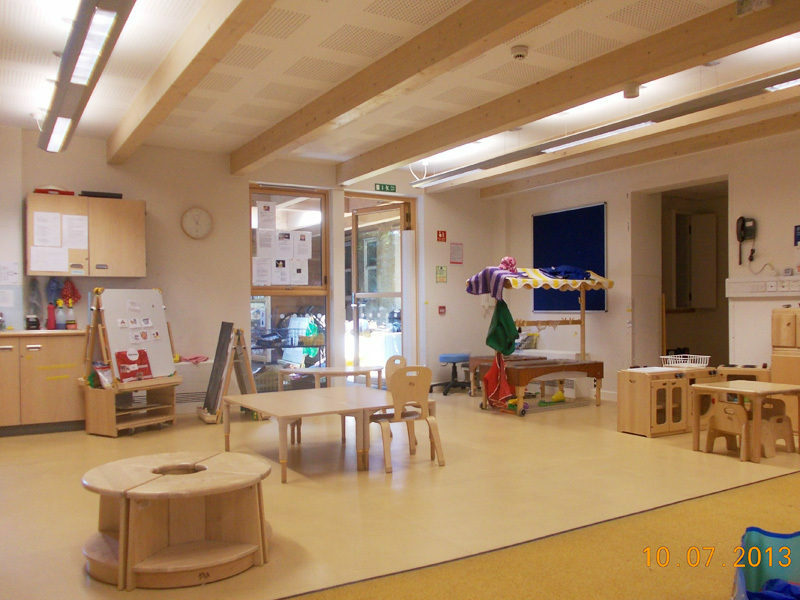 We have a variety of ‘Packs’ that relate to a range of sensory and tactile experiences. This approach to communication is suitable for all children and we find that it helps to build trust, security and stronger relationships. Weekly sessions are held with practitioners who have been trained by specialist Speech & Language Therapists. BOP has been working with the Music Therapist from Three Ways School to hold weekly Music & Movement sessions. Music Therapy provides cognitive stimulation and helps children who have trouble with communication express their emotions and improve their communication skills in a verbal and non verbal manner. It helps improve self awareness and confidence.